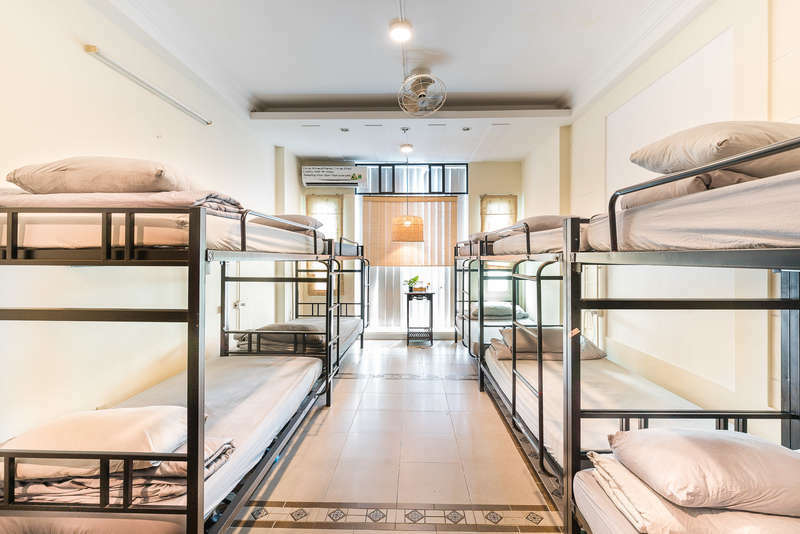 CLCC Hostel is a stunning Indochine style architecture hostel which located in the heart of the entertainment center in Ho Chi Minh City. Right on the main street, the property is within a few steps of all the action, but peaceful enough to ensure you get plenty of rest and recuperation. The 2 commons areas in the main lobby and rooftop where you can enjoy the great city view while mingles 'a great place to hang out a bit and have a beer while meeting nice people from around the globe. We proud about our lovely & friendly staff, who we've been told are 'very helpful, personable and informative. CLCC Hostel has cozy & clean rooms, the room has big window with well and modern facilities such as: air condition, hot shower, free Wifi/Internet in the room. 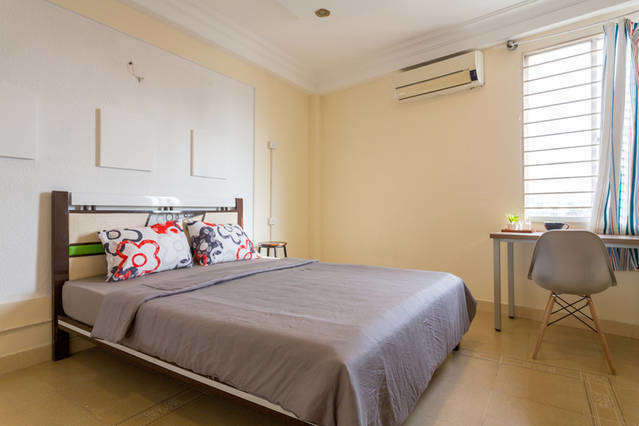 There are wide selection of room types including Private, Twins, Double rooms, Triple rooms, Quad rooms and Dormitory room (mixed and female only), hence, you’ll have many options for a best selection even you travel solo or with friends/family. We also provide full range of services as tour bookings, postal services, air tickets reservation and confirmation, train and bus tickets, visa and extension visa, motorbike for rents, currency exchanges, airport or train pick up, laundry services, store locker can keep your luggage free while you are on your trip. We look forward to giving you a warm welcome to CLCC Hostel in the near future. Take airport taxi (VinaSun or Mai Linh taxi) to 96 De Tham Street, district 1, HCM city, a white and red building in front of you. This is a good way for budget travelers. CLCC Hostel is located at 96 De Tham Street, district 1, HCM city, there are many bus go to our hostel. From the airport, take the bus No. 152 to Ben Thanh Market, central bus station in Ho Chi Minh city. After arriving Ben Thanh market, keep staying in the bus for another 3 minutes then stop at the bus station @ De Tham street (the 2nd bus station count from Ben Thanh market). You can cross the street and walk from this bus station to our hostel less than 4 minutes by walk. -We would be grateful if you inform us at least 72 hours in advance should you decide to make any changes to your booking, otherwise the first night's charge is applicable.